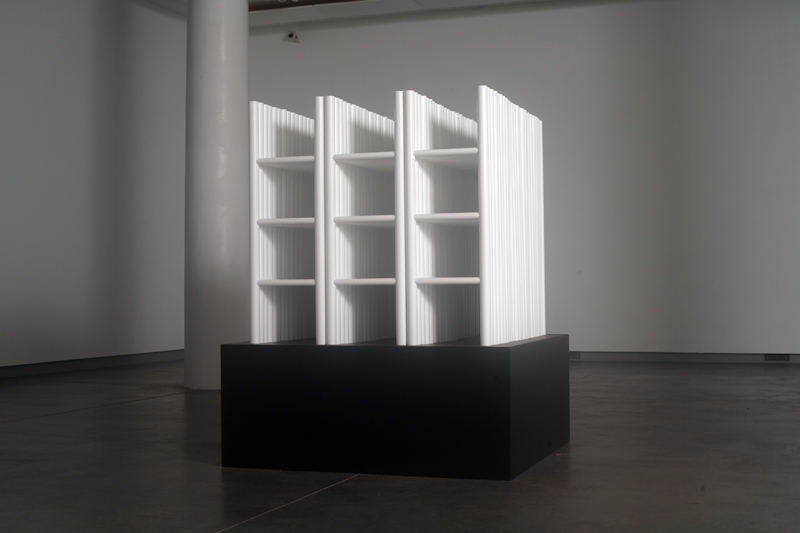 white cube is a site-specific installation originally created for the Institute of Contemporary Art at Maine College of Art. The piece is comprised of 72 free-standing ladders, created by hand and individually positioned to form a 48” x 48” x 48” white cube. 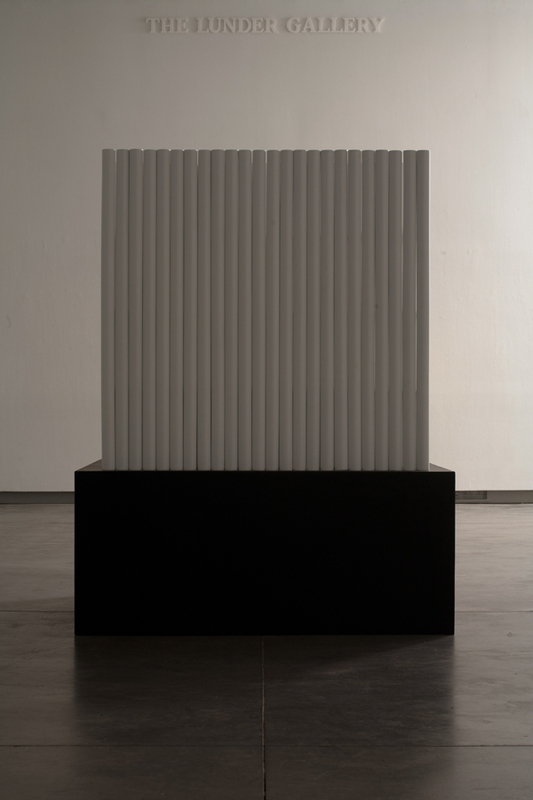 The piece references The White Cube by Ilya Kabokov and contributes to the artistic dialogue sparked by Brian O’Doherty’s pivotal text “Inside the White Cube: The Ideology of the Gallery Space.” white cube appears from one vantage point to be a solid cube, but circumnavigation reveals negative space, changing gradations of light, repetitions of form, and a reframing of the works and space outside the cube in multiple variations. 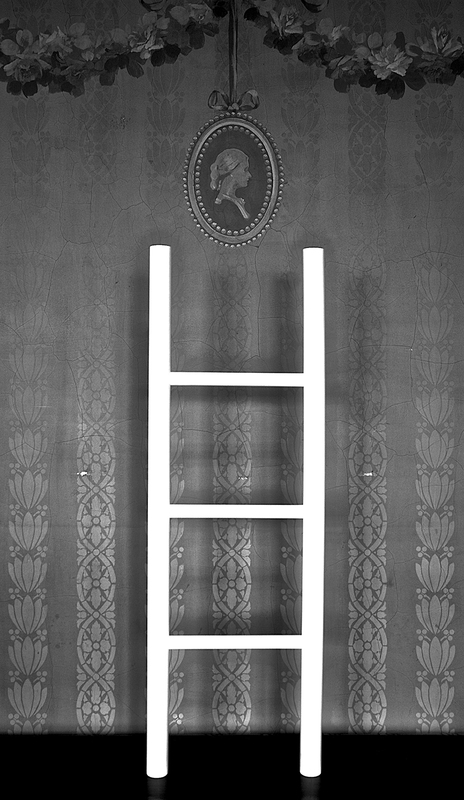 Symbolically, the ladder references hierarchical structure, and signifies an individual’s quest to attain higher levels of consciousness.